Another possible title for this card was "Resistance" ... but I already have an "Opposition" card, and I wanted to emphasize the tenacity of the Brownies, who will not let any natural disaster stop them from doing what they need and want to do. Rushing rivers, monsoons, avalanches... the Brownies have faced it all at one point or another, and they never let any of it stop them. 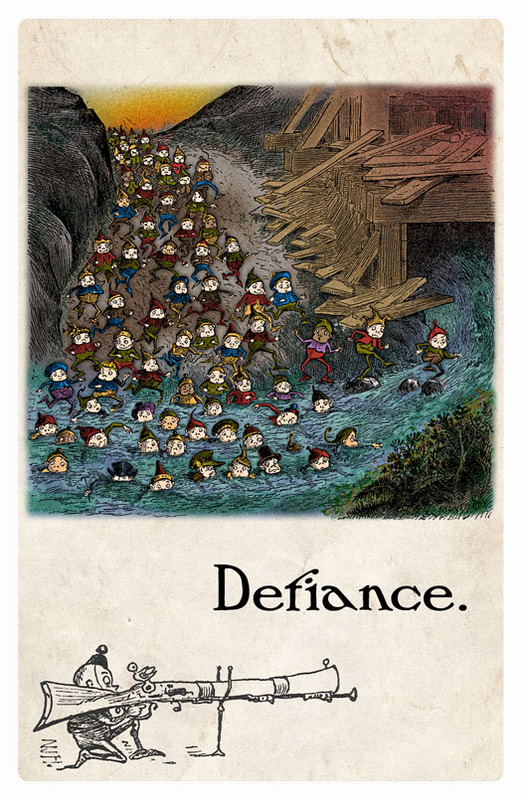 Their way is best shown on this card: they dive right in and press on no matter the force working against them.